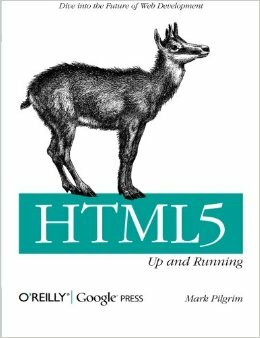 This book is the printing version of the online book Dive Into HTML5 of the same author (Mark Pilgrim). The online book is more up to date than the printing version. HTML5 is still evolving, yet browsers such as Safari, Mozilla, Opera, and Chrome already support many of its features - and mobile browsers are even farther ahead. HTML5: Up & Running carefully guides you though the important changes in this version with lots of hands-on examples, including markup, graphics, and screenshots. You'll learn how to use HTML5 markup to add video, offline capabilities, and more -- and you�ll be able to put that functionality to work right away. This concise guide is the most complete and authoritative book you'll find on the subject. Author Mark Pilgrim writes the weekly digest for the HTML5 Working Group, and represents Google at conferences on HTML5's capabilities. Stay ahead of the curve. Order a copy of this book today. Mark Pilgrim is an accessibility architect in the IBM Emerging Technologies Group. He is the author of several technical books, including Dive Into Python (APress) and Dive Into Accessibility, a free online tutorial on web accessibility.